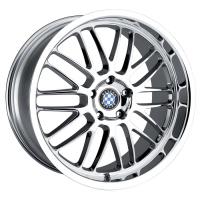 These wheels are exclusively designed by Beyern for BMW automobiles. 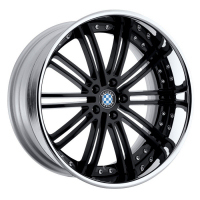 They are created to service the discerning BMW driver and they support tire pressure monitoring (TPMS). 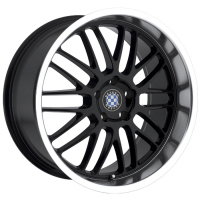 They are available for 3 series BMW, 5 series BMW, 6 series BMW, 7 series BMW, Z3, Z4, X3 or X5 BMW. All of these wheels are perfectly hub centric and are made to the tightest tolerances. 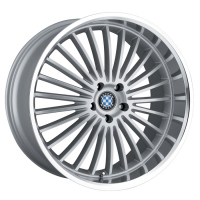 We offer a wide selection of BMW Beyern wheel applications. 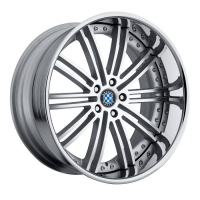 They are available in 17, 18, 19, 20 and 22 inches for your BMW. Also they come in three color, black, chrome and silver. 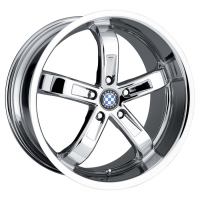 At the top of the page is a BMW 5 series with silver mesh wheel. Please see at next few example.